Power Factor – what is it and how does it affect your energy bill? When reviewing your energy bill, or talking to your broker, it is common place to focus in on one thing – your retailer tariff. However, as can be seen by the vast amount of information on your bill, there is much more than your retail tariff contributing to your total costs. Demand charges can make up a significant portion of your bill and are typically an area of opportunity for savings. 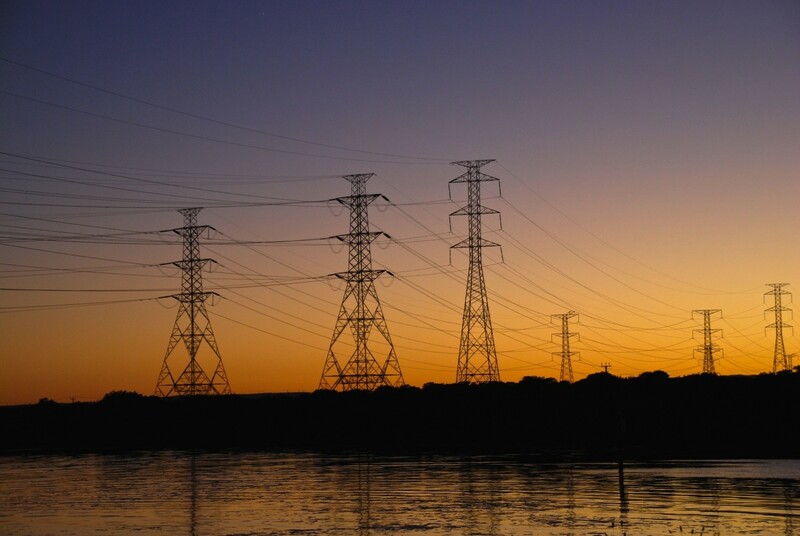 While peak and off-peak tariffs are charged by your retailer and can be negotiated, demand charges are calculated by SA Power Networks (SAPN) and are set by regulation. These charges are a reflection of how much it costs to establish and maintain all of the poles and wires that make it possible to deliver energy to you. How much you pay depends on the complexity of supplying that energy to you, and what sort of demand you put on the system. The best way to explain something technical like power factor is through analogy – we think any analogy involving beer has to be a good one! Imagine your beer. 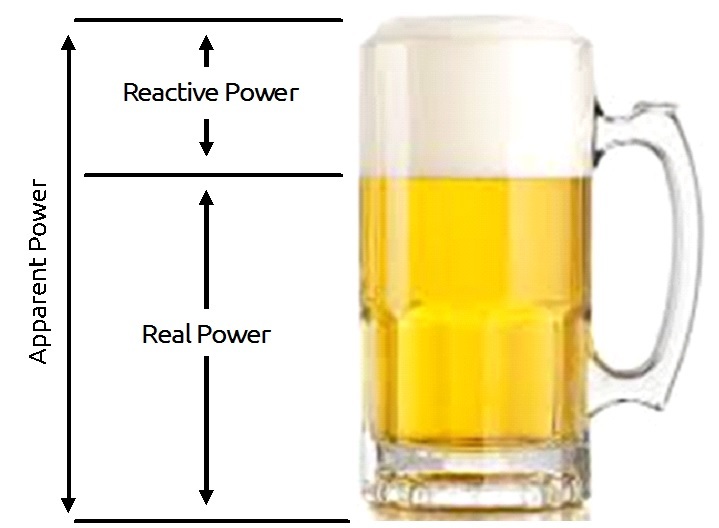 The drinkable portion beer in your glass is represented by Real Power (expressed in kW) or Actual Power. This is what actually powers electrical equipment and performs useful work (like beer quenches your thirst). The foam in your beer is not of use to you, rather it is a reaction from the beer being poured. This undrinkable portion can be likened to Reactive Power, represented by KVAR. This is the power that transformers, motors and relays need to produce their magnetizing flux, however it is not the Real or Actual power used to actually perform the work. The combination of drinkable beer (kW) and foam (kVAR) in your beer glass represents the Apparent Power, or KVA. Power Factor is simply the ratio of Real Power (kW) to Apparent Power (kVA) and is represented by this formula: PF = KW / KVA. Using the beer analogy, the formula would like this: PF = Beer / Drinkable Beer + Foam. For any given KVA, the more foam you have (the higher the percentage of KVAR), the lower your ratio of KW (beer) to KVA (drinkable beer + foam). Therefore, the lower your power factor. As your foam (or KVAR) approaches zero, the power factor approaches 1. The network service provider has to provide a network that meets the Apparent Power needs. Therefore, if your Apparent Power needs are high to compensate poor power factor, you, the customer, pay for it. This incentive to reduce the maximum demand by correcting the power factor and by changing electricity usage patterns. By reducing how much energy your site requires at any one time (demand) you reduce the cost of supplying energy to your site. Installing Power Factor Correction (PFC) can be a great way to reduce your demand charges. PFC is a ‘magic box’* which lowers your maximum kVa, thereby reducing the demand to your site. Many Tandem Energy customers have saved thousands of dollars per year through this investment. However, like any equipment, it is not a set and forget solution. While auditing a client in early 2017, it came to our attention that PFC had been installed. This came as a surprise, as the data did not reflect this. A PF of around 0.95 or more can be expected with a PFC unit, however the PF at this site fell as low as 0.75. Further data analysis indicated that the PFC unit failed in 2009 and had not been investigated until the time of the audit in mid-2017. The failure came at a cost of around $16,000 per year at today’s energy rates – a costly error indeed. This highlights the importance of staff training, but also the need for regular review. Had the energy audit taken place 7 years earlier, or an electrician or the staff had noticed, over $100,000 could have been saved. Educating our clients and the wider community in sustainable practices is our key focus and passion. We incorporate education and behavioural change into all of our work as we believe it is the best way to achieve significant lasting change. *PFC is not actually a magic box. It is a real piece of equipment and consists of banks of capacitors, appropriately sized to reduce the reactive power (measured in kVAr) to ensure power factor is corrected close to 1. Contact us to find out how Tandem can help drive your business into an energy secure future.